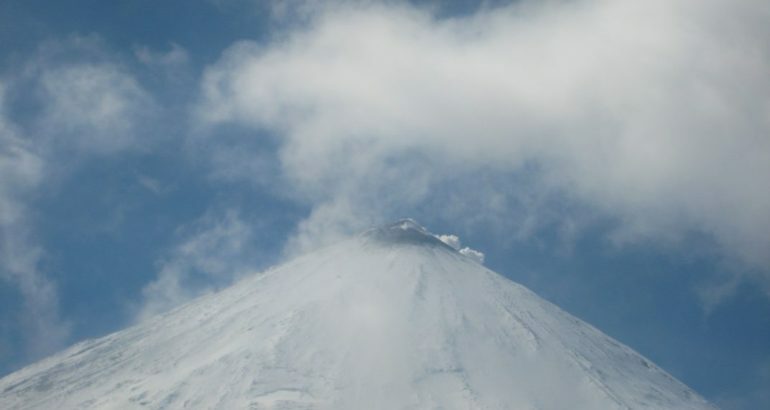 Volcano Kluchevskoy (Klyuchevskoy volcano, Kamchatka Mountain) — a typical strato volcano, with the correct form of a cone. 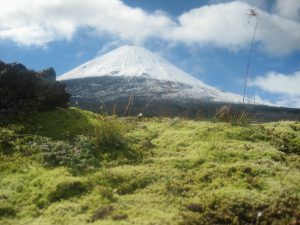 Its height varies from 4750 to 4850 m above sea level. Age Holocene volcano, roughly about 7 thousand years. Klyuchevskoy Volcano is the highest active volcano of Eurasia. Without ceasing, the club over its apex greyish clubs vapors and gases. With no wind, they go up a pillar to the sky and reaching somewhere atmospheric currents, giant plume stretched into the distance. Hover it weakens, then amplified, and then are heard explosions, over the top, flashing a reddish glow. img_3390Takoe usual for him the condition may last for years, but once in 5-6 years, and sometimes less accumulated reserve of energy, the volcano enters the next active phase of its activities. Continuous follow one another powerful explosions, thousands of fly-hot volcanic bombs, flowing along the slopes of glowing lava flows, ash clouds rise for many kilometers, covering the neighborhood a touch of gray ash, turning sunny day at dusk or dark night. 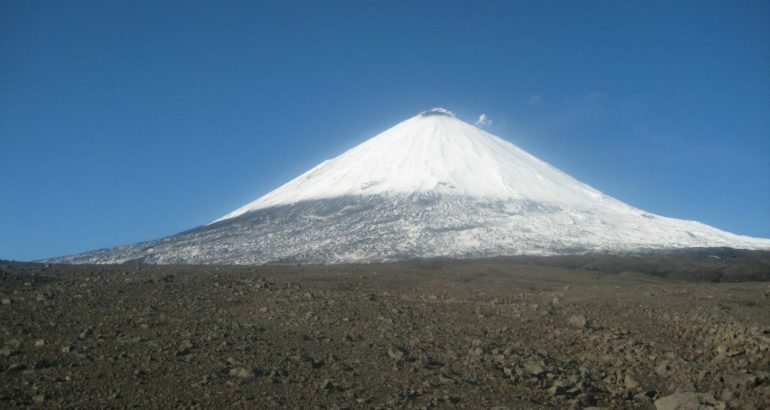 Most Active Volcano Klyuchevskoy Karymskaya second only, but many times greater than his strength eruptions. The strongest of them occur through the summit crater. Its diameter up to 1984 was about 650-700 m, and the depth -. 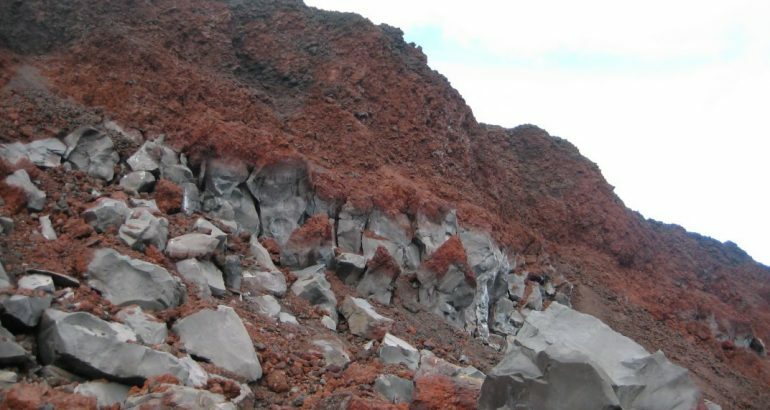 600 m after the last lava eruption in 1984 through the summit crater lava froze it in the form of a plug. The foot of the volcano teeming side of cinder cones and lava domes, of which there are about a hundred. During the existence of the volcano appeared many times more, but part was buried under layers of volcanic material, the other — has collapsed. Height existing cones ranges from 60 to 100 m, but there are also higher. Climbing the volcano begins by Apahonchicha. The name and the side of the crater, and the Volcano Monitoring Station. The station is located at around 740 meters above sea level, 80 km from the village of Keys. Meeting the group at the collection site. Check out the SUV to the side of the village Kozirevsk (500 km) with a stop and lunch in the village Milkovo. On the way, a few stops to take pictures. The journey takes 6-8 hours. — Arrival to the village Kozirevsk, accommodation in a guest house. Banja. Recreation. 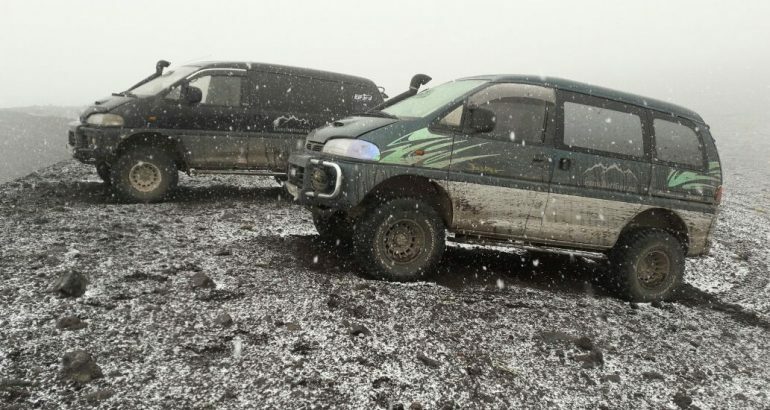 — Drive to the volcano Kluchevskoy. Travel time 5 — 7 hours. Up to 1200m mark. You take the car. From that moment, walking path, climbing to the base camp. — Arrive at camp on 2600m. Recreation. Overnight. 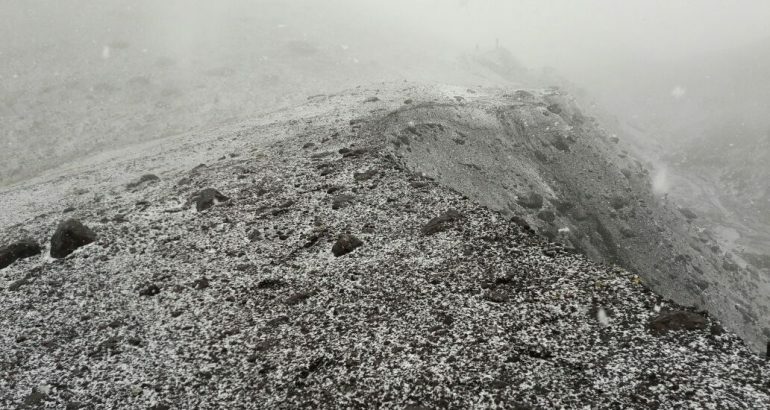 — Continuation of the ascent to an altitude of 3300m, is not on a large rocky area installed tents for the night. — Exit the route climbing. This site is the most difficult. Arriving at the top. Here you can watch the activity of the volcano. Recreation. Return to base camp at around 2600m. Overnight. — Total fee. Departure to the city. At the request of the group, it is possible arrival in the village of Esso visiting all the sights (travel time is extended by 1 day). The village of Esso — the administrative center of the district Bystrinsky. The village is located in the middle reaches of the river Fast, in the ancient caldera of an extinct volcano. Under the village is the most underground hydrothermal pond, through which water heats the greenhouse and all the houses, as well as supplies of hot thermal water swimming pool, located in the center of the village. Special therapeutic composition of the water has beneficial effects on health and the human body. In the locality atypical for Kamchatka nature landscape, here the «masters» of the forest is pine and larch, and the vast highlands give air refreshing and health-restoring properties. At the village tourist attractions are concentrated, that will impress any tourist, is the Ethnographic Museum, Bystrinsky natural park and other attractions. Number — of tourists in the group: 2 to 8 people. Cost of the tour: 63000 rub from the 1st person.